Sign up to receive your copy of the How to Plan a Celebration Trip ebook! And get exclusive travel news and offers from the Xanterra Travel Collection. Milestones were made for celebrating and travel is one of the best ways to do that. Plan your milestone moment with our e-book. From anniversaries to landmark birthdays, from family reunions to retirements, celebration vacations are on the rise. And it’s no wonder. Milestones were made for celebrating and travel is one of the best ways to do that. A vacation that commemorates a special event in one of the most beautiful places in the world brings everyone closer together. But whether you’re alone, with a significant other, or with family and friends, you want an experience where you can create the kinds of memories that will last a lifetime. So how do you prepare for the ideal celebration vacation? Start by asking yourself who’s coming with you and what you want the trip to be about. Those answers will help you decide between a far-off exotic destination — easier for an anniversary couple to pull off — or a more familiar one closer to home — more practical for a large family reunion. Next, you have to determine your budget, the length of your stay, the time of year, the kinds of activities you want to experience and any special needs. The Xanterra Travel Collection with its diversified portfolio of travel companies offers enough vacation options to please every type of traveler looking to celebrate a milestone moment — from romantic cruises and iconic national parks to landmark resorts and niche tour operators. Here are some of the best ways to commemorate a special occasion. 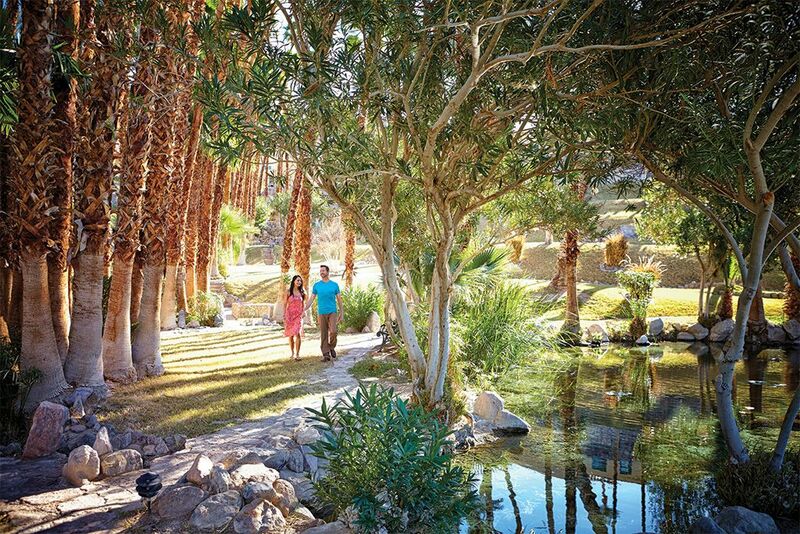 A romantic escape is a perfect way for couples to mark an anniversary, vow renewal, or honeymoon. A celebration of love should be everything you’ve dreamed of — and more — in a place and in a way that cements your relationship. 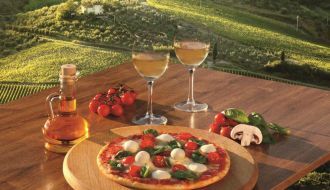 It should be geared to what you and your partner like to do and what brings you joy — whether foodie forays, cultural experiences, outdoor activities or just relaxing in private. Windstar Cruises is tailor-made for a couples’ vacation. With its small luxury sailing ships and all-suite power yachts carrying just 148 to 300 guests, Windstar offers the best of cruising on small vessels. 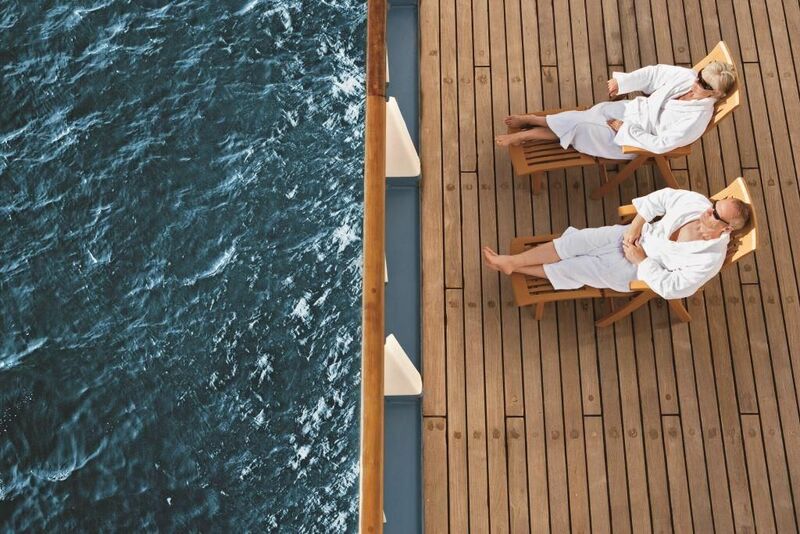 Its six small ships offer cozy, private spaces where it’s easy to find a quiet corner to relax, just the two of you. They visit secluded, intimate harbors, often off the beaten path, that offer unique cultural experiences you can discover on your own. And Windstar provides a level of personalized service impossible on larger ships, with the kind of pampering that enhances the romantic mood. Indeed, Windstar has been repeatedly voted “World’s Most Romantic Cruise Line” by readers of Bride’s magazine, Porthole Cruise magazine, and CruiseCritic.com. 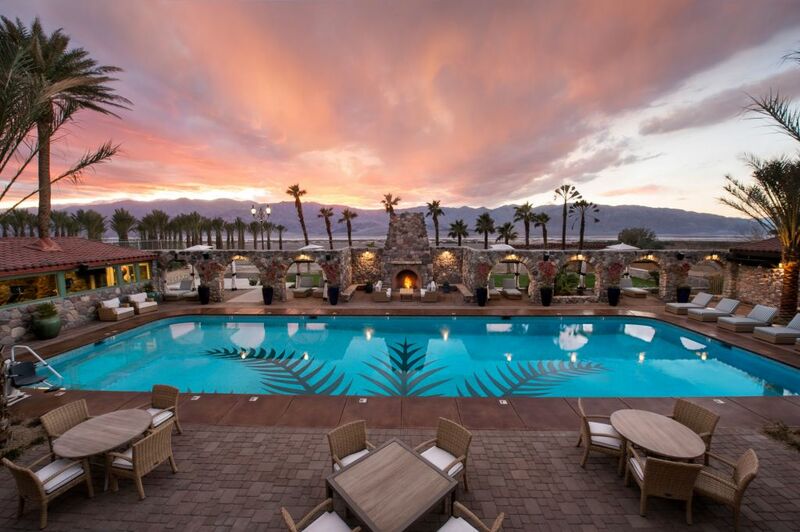 If you prefer a land-based vacation, the historic AAA Four Diamond Inn at Death Valley, which was recently fully renovated, may just fit the bill. With an oasis-like setting and fine dining, the 66-room property (plus 22 brand-new luxury Casitas) offers surprising luxury in one of the world’s most dramatic desert landscapes — a place of shifting sand dunes, multi-hued rock formations, and hidden canyons. 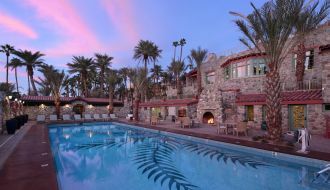 Wake up before dawn to watch the rugged mountains turn pink with the sunrise; play a round of golf in the world’s lowest-elevation course; go for a swim in the spring-fed pool, complete with private cabanas and a pool bar; get a desert hot-stone massage in the brand new spa; then, after dark, gaze up at star-filled skies as the desert wind rustles the date palms. It’s a great way to celebrate Valentine’s Day, an engagement, or an anniversary. There’s nothing like a family reunion or a multigenerational vacation to bring everyone together, develop closer bonds and create memories that will last forever. But it can also be challenging to satisfy everyone’s needs and desires, from the youngest to the oldest. Prioritize by location, the number of people in your group, the ages, and the type of vacation that will please all family members. 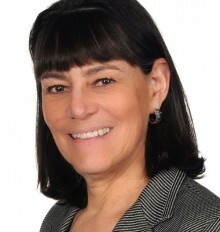 Solicit their input and start your planning at least six months in advance. 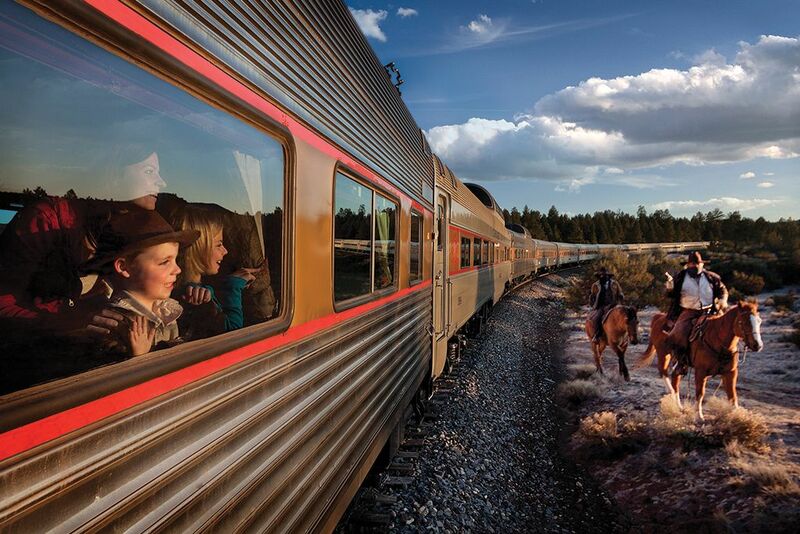 A trip on the historic Grand Canyon Railway, one of the country’s great train rides, offers the experience of a lifetime, whether you’re six or 96. An exhilarating 65-mile trip from Williams, Ariz., to the Grand Canyon’s South Rim, it traverses Arizona’s 5,000-foot-high Colorado Plateau, while unfolding a unique view of the American West. You ride in glass-domed historic railway cars with steam engines that have been fully refurbished to their original 1920s grandeur. 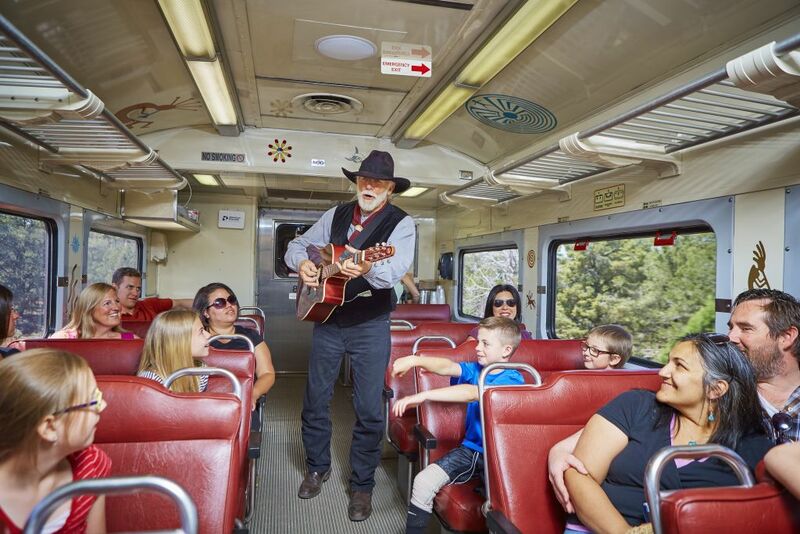 On board, a cowboy singer serenades passengers with classic trail songs as you roll along. What’s more, no matter the size of your group, you can reserve the train its entirety or just by individual car, if you want more privacy. The journey culminates in one of the Seven Natural Wonders of the World: the Grand Canyon. Stay at one of its lodges — such as the grand El Tovar Hotel — and take a signature mule ride to the canyon floor. Your family will thank you! 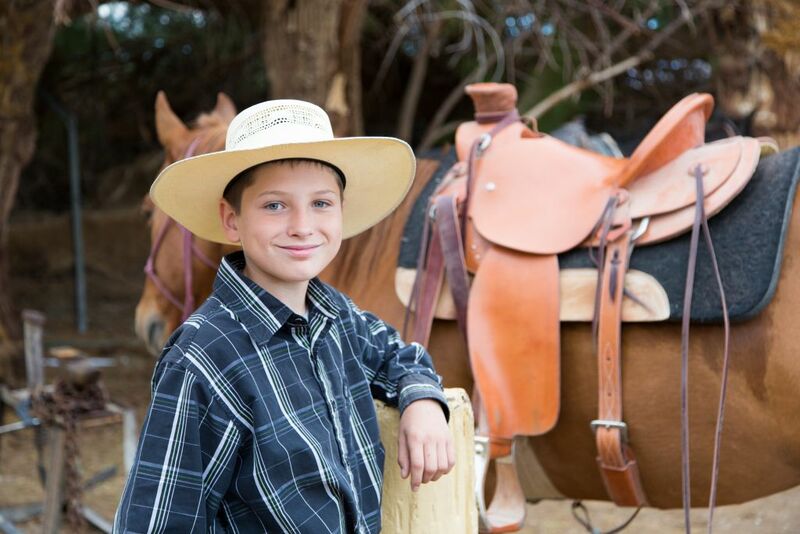 If you prefer a Wild West experience, the family-oriented 224-room Ranch at Death Valley, in a desert oasis, offers a classic ranch atmosphere with stables, wagon rides, and real cowboy spirit — bound to thrill the kids in your group. 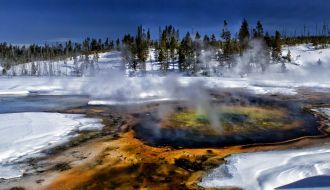 You can swim in a spring-fed pool, take a trail ride or hike into the 3.4 million-acre desert, play golf, and spot the Milky Way at night in one of the only gold-tier-designated International Dark Sky Parks in the United States. Sometimes you want to celebrate a special event on your own — perhaps a promotion, a new job, or a graduation — or you may not be able to travel with a companion. In that case, you’ll want to consider choices where you’ll feel comfortable and safe being on your own. 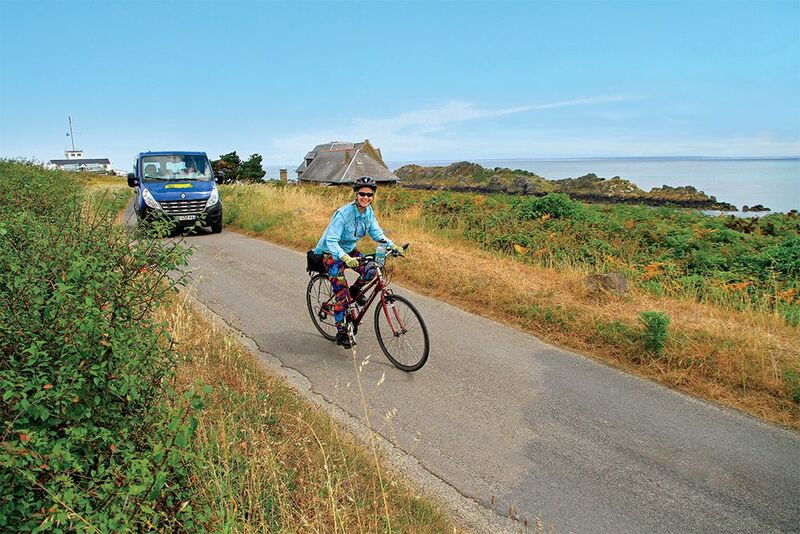 A great option is a small-group tour with VBT Biking and Walking Vacations, which offers more than 55 deluxe, small-group bicycling, walking, and barge & sail vacations in 27 countries and 10 U.S. states. The benefits of traveling with a small-group outfitter are many: They provide the kind of insider access that’s virtually unavailable to individual travelers; unique experiences you can’t duplicate on your own; knowledgeable and passionate guides who take care of all logistics; and personalized hands-on service. 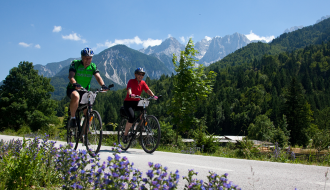 Most importantly, you’ll have ready-made travel companions with similar interests to share the experience and to minimize any sense of loneliness — whether it’s a walking tour of Spain’s Basque Country, a biking tour of the Italian Coast, or walking and biking in New Zealand. For some landmark celebrations, only a thrilling bucket-list-fulfilling adventure will do. 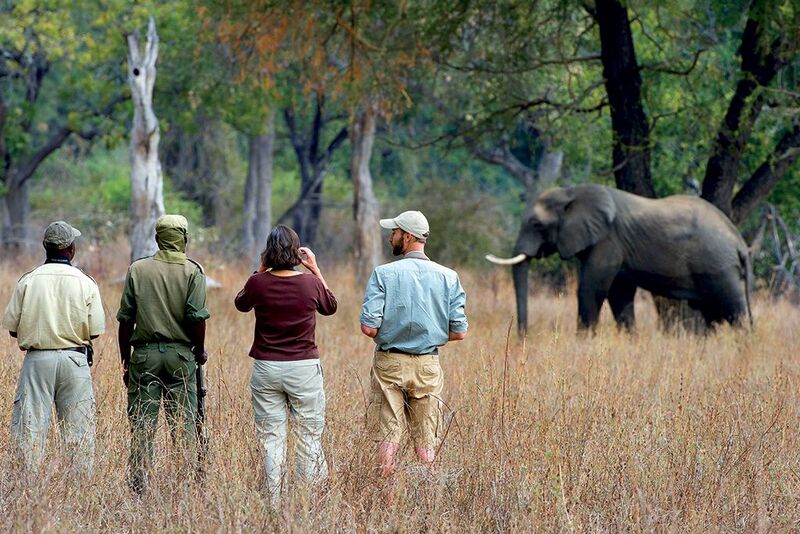 Such as a South Africa safari with Country Walkers, which has provided active and immersive travel experiences on five continents for 39 years. You can track the Big Five on foot and by jeep in Kruger National Park, whale watch and view penguins, and sample wines in the Cape Winelands. 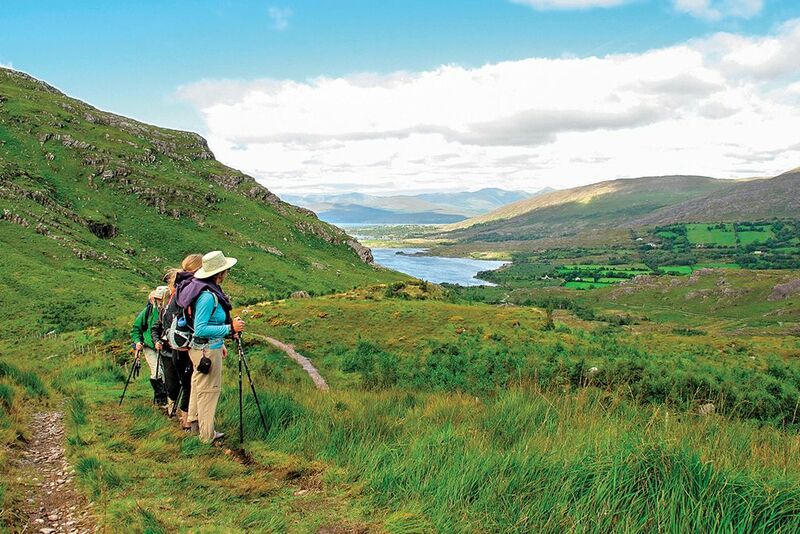 A small-group tour company like Country Walkers does all the planning and guides you through your once-in-a-lifetime experience. Retirement is a classic celebratory milestone, a time to indulge in a longer getaway since you’re finally free of a work schedule. There are so many ways to fete a job well done. Pick the one that caters to your passion or fulfills your lifelong must-do list. Holiday Vacations, with 45 years of experience guiding rail, motorcoach and cruise vacations to more than 65 destinations worldwide, may have just the trip for you. 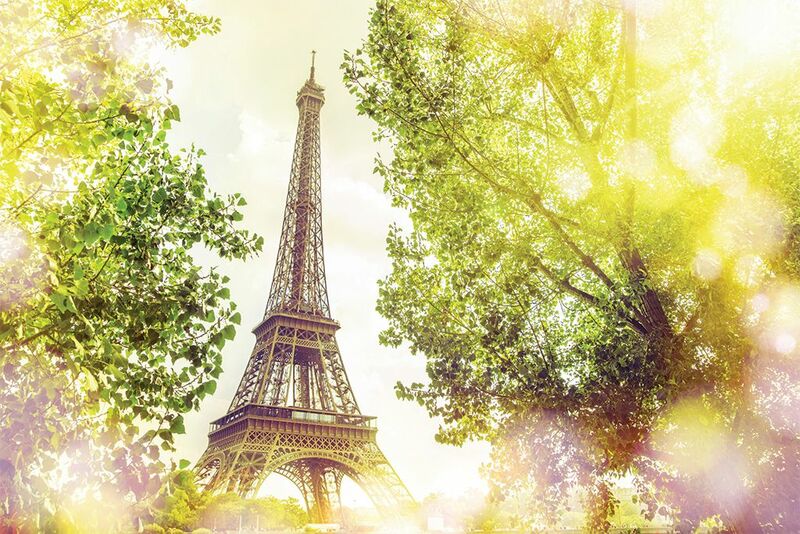 Choose from an Alaska or Panama Canal cruise, to a rail trip in the Rockies, a week to remember in Paris, and many more.